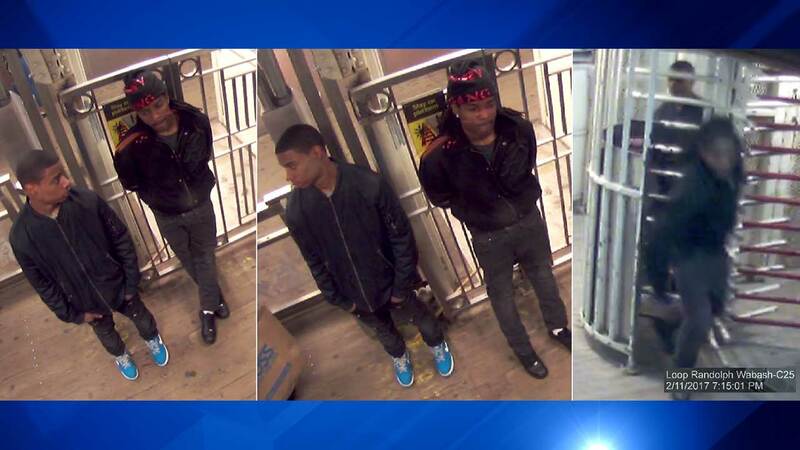 CHICAGO (WLS) -- Two men allegedly stole cellphones from passengers on a CTA Green Line train last week, Chicago police said. Police released photos of the offenders, who entered a train in the 100-block of North Wabash and took the phones from commuters' hands before running away. The incident occurred at about 7 p.m. Saturday. The offenders are described as being between 17 and 25 years old, between 5-feet-7-inches and 6-feet tall and weighing 140 to 175 pounds. Anyone with information is asked to call Chicago police at 312-747-8382.